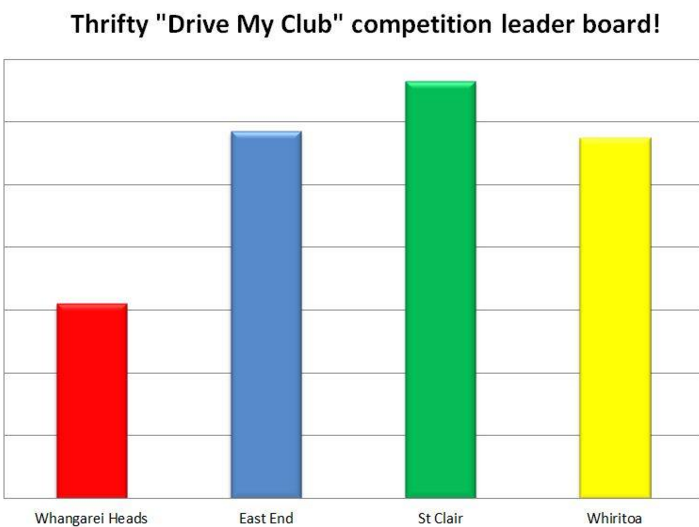 Thrifty “Drive My Club” competition is heating up! Trust Waikato Whiritoa Lifeguard Service has made it to the top four finalists in the Thrifty “Drive My Club” Competition but we still need your help! Taking part will get you in the draw to win as well! The top club receives $1000 worth of rental car from Thrifty, something which Whiritoa could use to take the next team to IRB Raglan Development Camp in style or perhaps a team of competitors to the next Regional or National competition! So come on Team Toa – Get Voting!